Spring may have sprung but it is not quite warm enough here to pull out the shorts and T-shirts yet. (Although, as I’m writing this, it is a comfortable 15*C) Instead, I dug out from my stash The Alex and Olive Top pattern by Sewing Workshop since we received these new fancy light silver zippers. I figured the Olive top would be perfect to showcase the zipper. 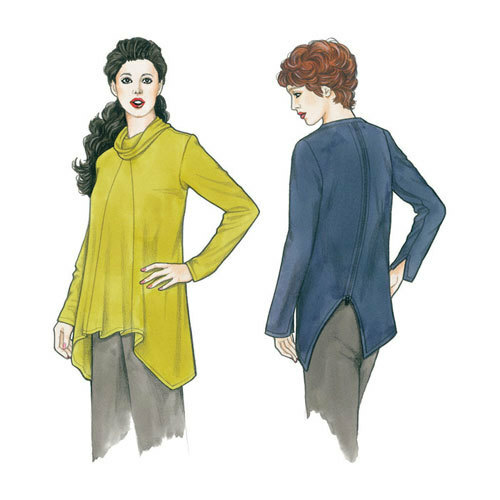 As described on the Sewing Workshop site, the Olive is a scoop neck knit pullover with diagonal side seams and exposed decorative back zipper on the diagonal. Curved left back hem detail and open vents in long sleeves. 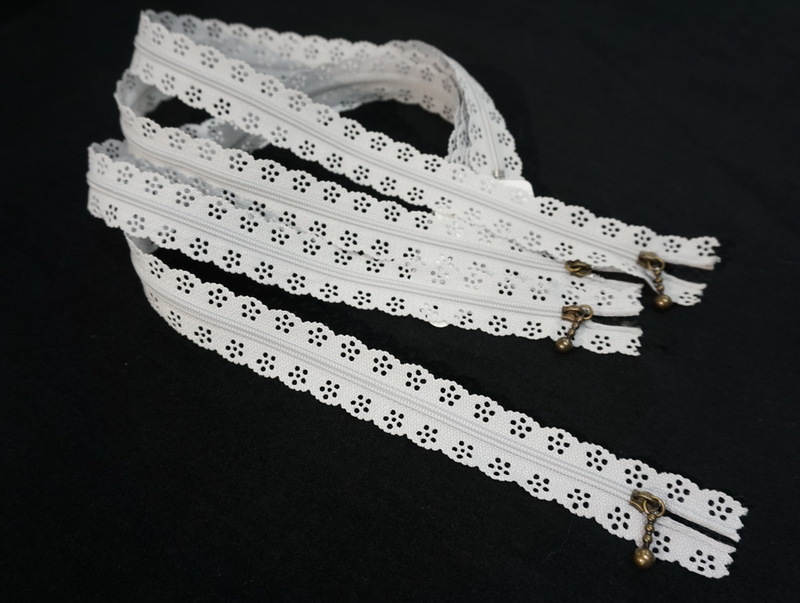 Zipper is a 22″ separating zipper. I chose to use this knit fabric since it has an underlying silver cast to offset the light grey colour of the zip. Ok. A separating zip? What the heck for? Does this design need a bigger opening to pull over your head? 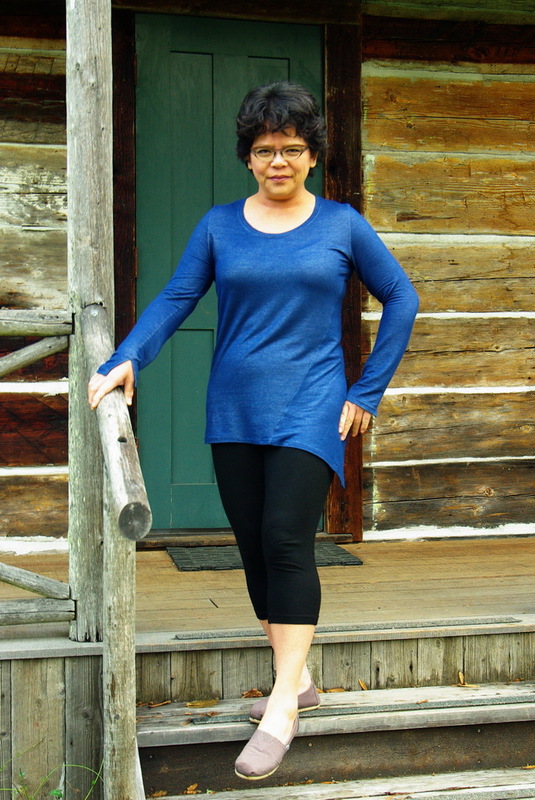 As you can see from the line drawing, this top has quite a scoop neckline which makes it big enough to pull over your head without needing an additional opening. Given that these new zippers did not separate, I decided to ignore that requirement. As with all the other Sewing Workshop patterns I have tried, the instructions are well explained and illustrated. However, a sewing instruction I decided to ignore was to baste the back opening together to be later removed so back seam would open. Umm … why? 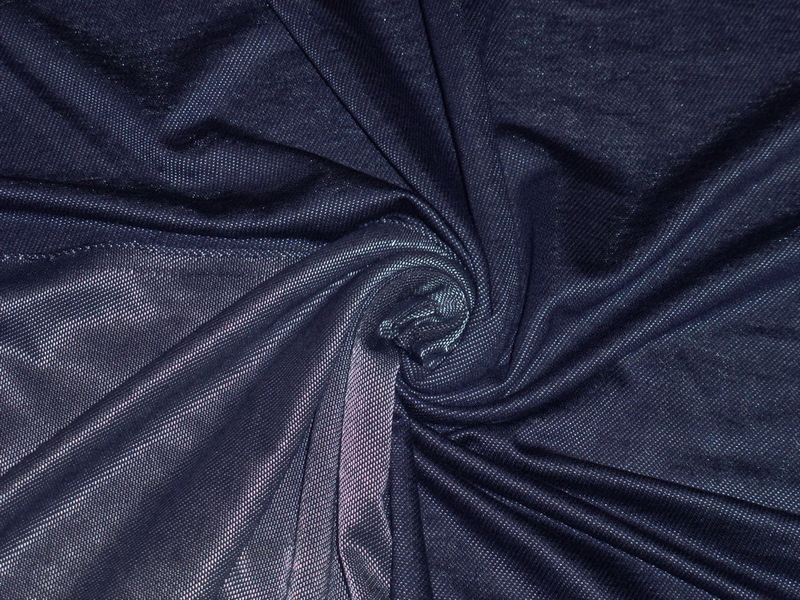 Since that made no sense to me and it did not affect the integrity of the design, I sewed that seam, not basted. 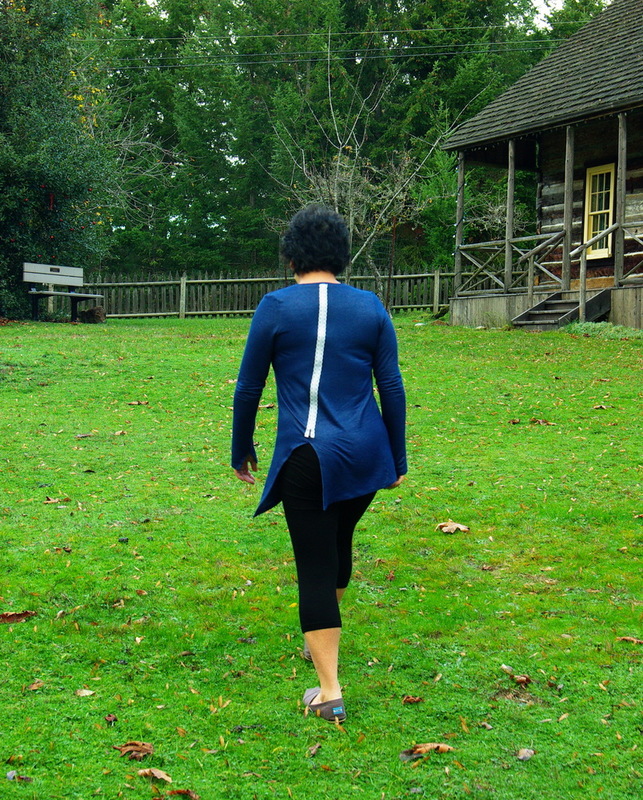 And even though I have a cover stitch machine for hemming knits, I did not use it for this garment because of the angles of the vents in the sleeves and back opening. When I first put this on, I thought the sleeves were too long. But now I quite like them since they remind me of flounced sleeves without being too frilly. Another comment about this garment; I found the sleeves a snug fit. Or else I have Popeye arms from hauling bolts of fabric all day!